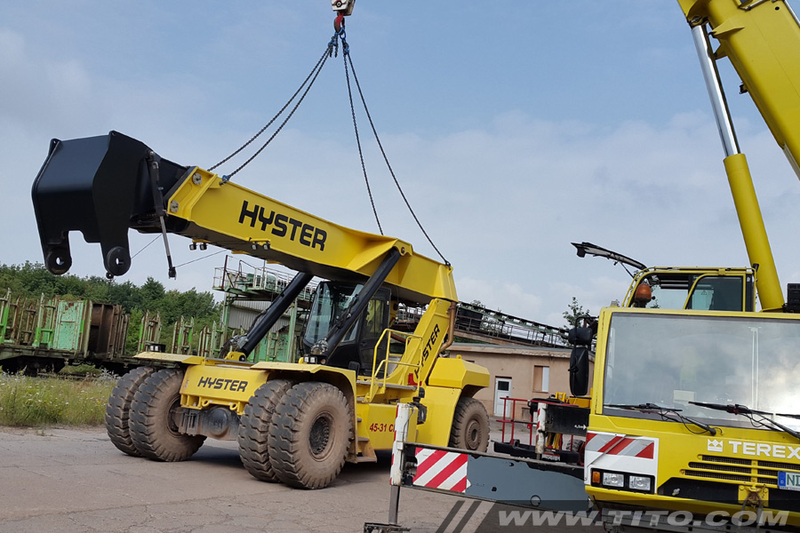 on location and prepare it for transportation. 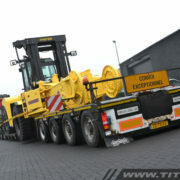 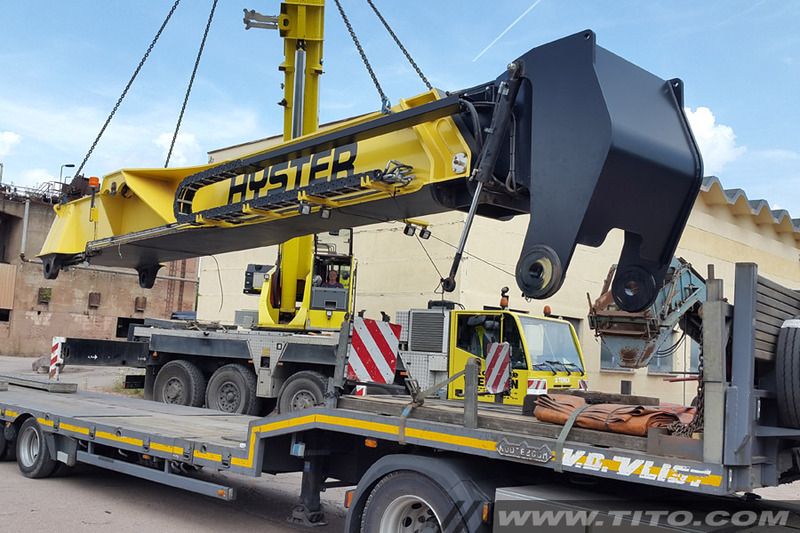 It has been transported by Van Der Vlist on a 4-axle Nooteboom lowloader. 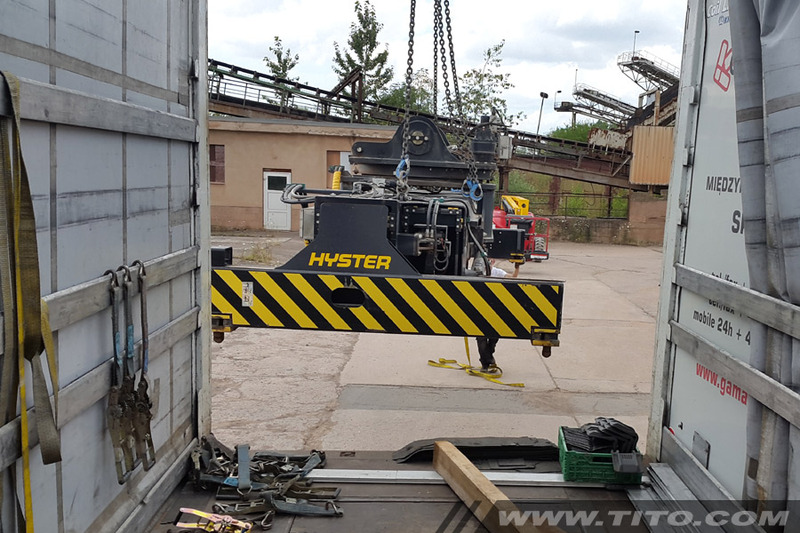 can train your local staff, supply you with genuine Hyster spare parts and return on-site for maintenance or repair. 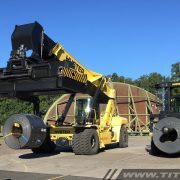 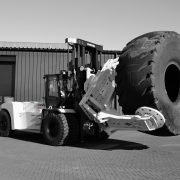 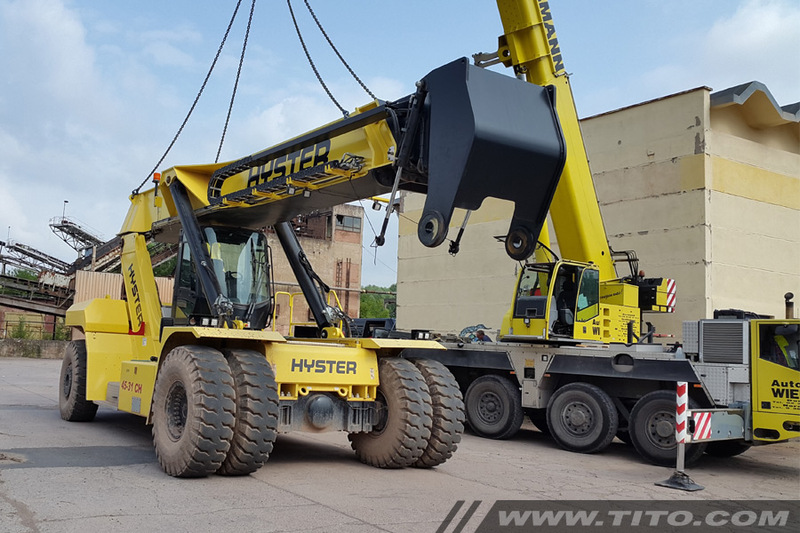 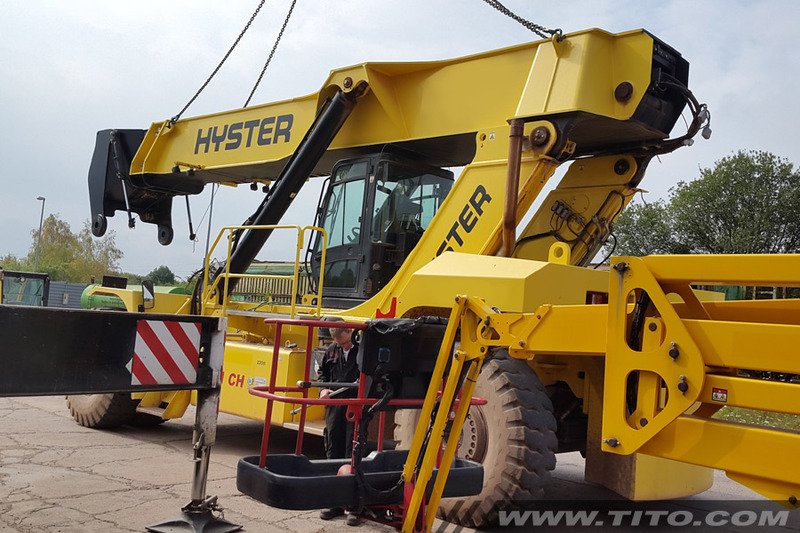 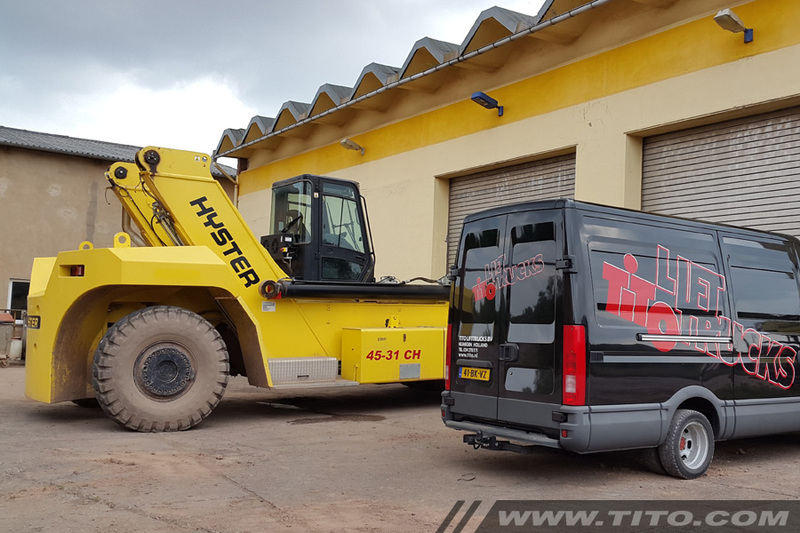 Click here if you are you interested in the used Hyster RS45-31CH in the below photos.